The Arts Club’s California Wine Fair fundraiser is an all-inclusive, social tasting event where wine lovers will have a unique opportunity to sample exquisite selections from the Golden State. It’s the largest tasting tour of California wines in Canada! Tickets: Available online for $90 or via the Arts Club Box Office at (604) 687-1644. Discounted group tickets are available by calling (604) 687-5315, ext. 847. This year’s event boasts a selection of over 400 wines from 150 of California’s top wineries. It’s an exclusive opportunity to savour the Napa Valley, Humboldt County, Santa Clara Valley, and more, all without leaving the city. With California producing over 90% of US wine, this is a great way to sample the best from our neighbours in the south. The fundraiser will also include a silent auction, featuring wines only available in California: St. Supéry Estate Vineyards, Heitz Wine Cellars, and Treasury Wine Estates. Attendees will also have the opportunity to bid on over 30 auction packages, including weekend getaways and more. For more than 50 years, the Arts Club has played a strong role in sustaining live theatre in the community, thanks in part to events like the California Wine Fair. All proceeds from the event will support Arts Club productions, youth and education initiatives, and new play development programs. Follow the Arts Club on Facebook, Twitter, and Instagram for more info. 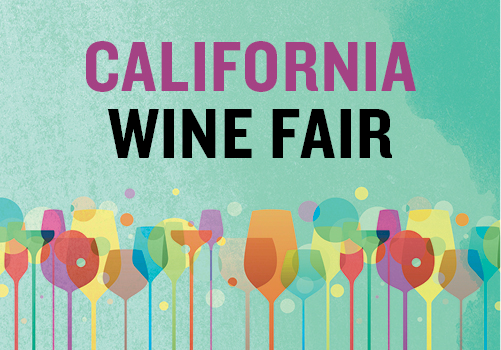 The California Wine Fair is in partnership with California Wines in Canada. Must be 19+ to attend. You are giving away tickets to this event too?!?!???!!! Yes PLEASE sign me up. My wife & I recently (about 7 yrs ago) took several Okanaagan wine tours and really only know a little about the industry but the tasting is sooooo much fun. Thanks again for having these contests.